No doubt you're already aware of the popularity of video content on social. The theory behind the rise of social video is that users gravitate towards the medium which best enables them to share their perspective - first we started with text updates, then moved to images, and now video enables users to capture and share more of their viewpoint. And because smartphones have made it so readily available as an option, it's rapidly becoming the medium of choice for an ever-expanding range of users. Given this, it's fairly clear that all businesses need to be considering how they can integrate video into their digital marketing strategies, across all social platforms. Twitter is no exception - stats have shown that tweets with video generate 9X more engagement, on average, than basic text updates. 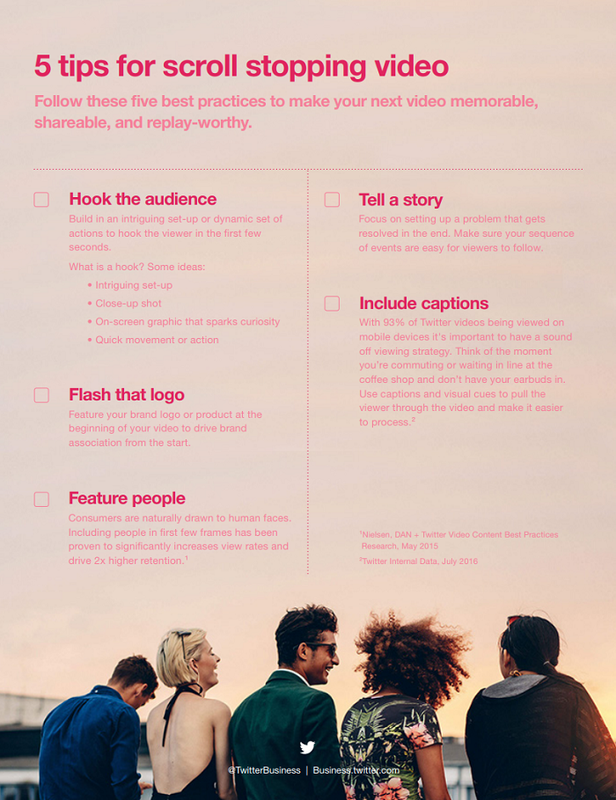 If you're considering how you might be able to integrate more video into your tweets, and use the medium to generate better response, the platform has published this new listing of Twitter video tips, with quick notes on how to improve your Twitter video performance. You can download the list here, or check out the graphic below.